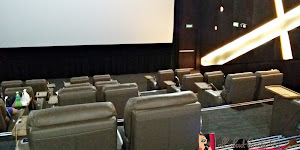 The other day, I just finished watching MayMay's movie at Cinema One then I got a surprise invite to attend MayMay Entrata's press conference with Megan. Yay! I could see her up close! Known as an actress, model, and singer - MayMay is now also known as the newest face of Megan. The brand Megan is a skincare brand that caters to Filipina's skin by keeping it clean. With MayMay onboard, the campaign started with her as a celebrity endorser and called the campaign #MegandaSiMayMay. 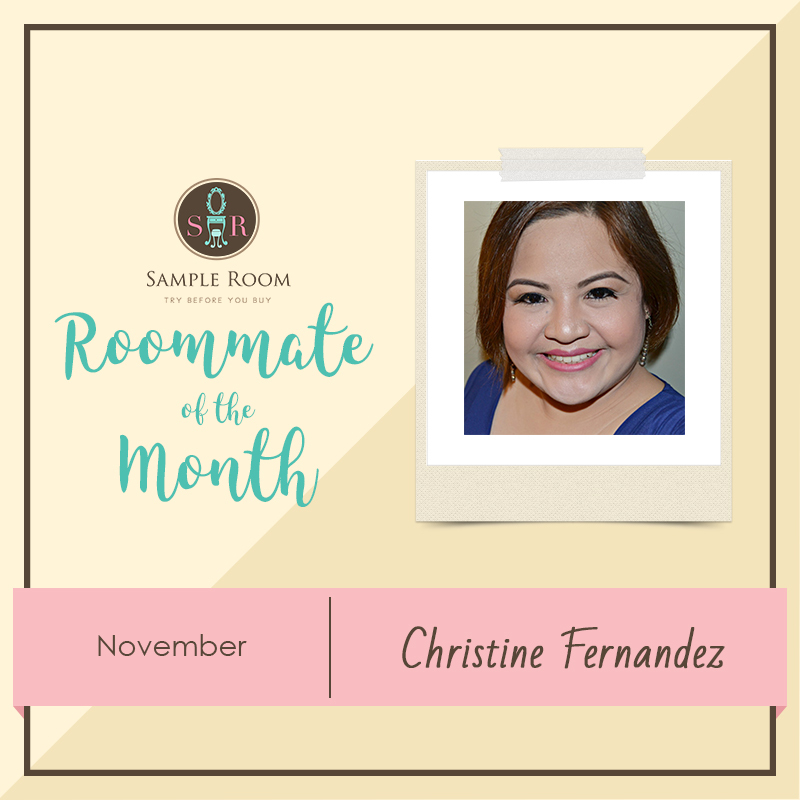 She is the perfect representative for the brand all due to her witty nature, caring attitude, and a personality that radiates confidence. MayMay surely embodies the brand. Megan stands for strong, capable, practical and true to one's self-qualities and these are the qualities that both Megan and MayMay shares. Filipinas are known to be naturally beautiful and Megan believes that us Filipinos should embrace our natural nature and take care of it. This campaign, #MegandaSiMayMay will help us choose the best product for our facial skin care needs. During the press conference, Ms. MayMay shared some of her beauty tips in keeping herself naturally beautiful. First, she uses Megan's Peel Off Gel Mask to exfoliate her skin at least once to twice a week. MayMay also quoted that Megan could remove "tsismis" in our skin. Second, she suggested that if you want to fight aging, we should try the Gold Collagen Extract while the youth may use the Cucumber Extract. 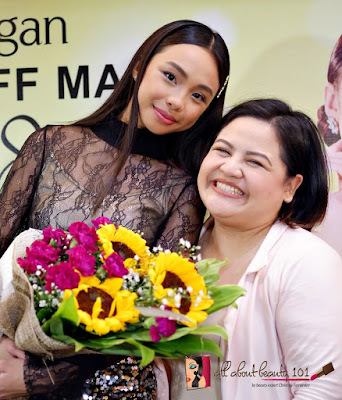 With that in mind, Megan also stays true to its mission of taking care of Filipinas' skin by stressing the importance of a clean skin that can easily be achieved with Megan's facial skin care products that leaves skin free of blackheads, whiteheads, and skin impurities also known as "tsismis" for MayMay. 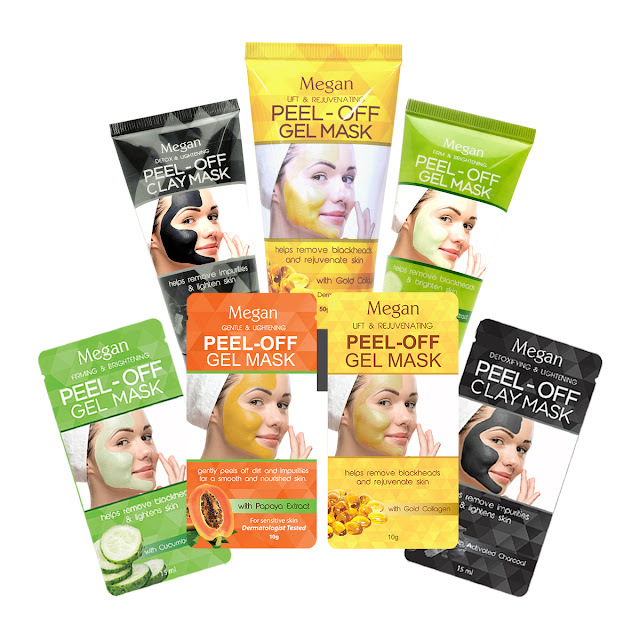 These Megan Peel Off Gel Mask is available in 10g sachet and 50g tube amounting to 25php and 99php respectively. In short, this product helps remove impurities to detoxify and lighten skin. 1. Deep Cleansing Nose Pore Strips enriched with Volcanic Ash Extract that removes dirt, blackheads and whiteheads - leaving the skin feeling fresh and free from impurities. 2. Purifying Nose Pore Strips enriched with Witch Hazel Extract that takes away oil, dirt, and blackheads that clogged pores. It can remove impurities trapped inside the nose, leaving you with softer and smoother skin. 3. Firming Nose Pore Strips enriched with Rose Extract that instantly takes away oil, dirt and blackheads that clog the pores leaving skin firm and soft. Each box contains four strips and costs 59php per box. 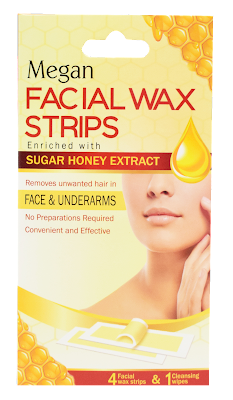 Facial Wax Strips is also available. Per box, it contains four facial wax strips and one cleansing wipe for only 59php. 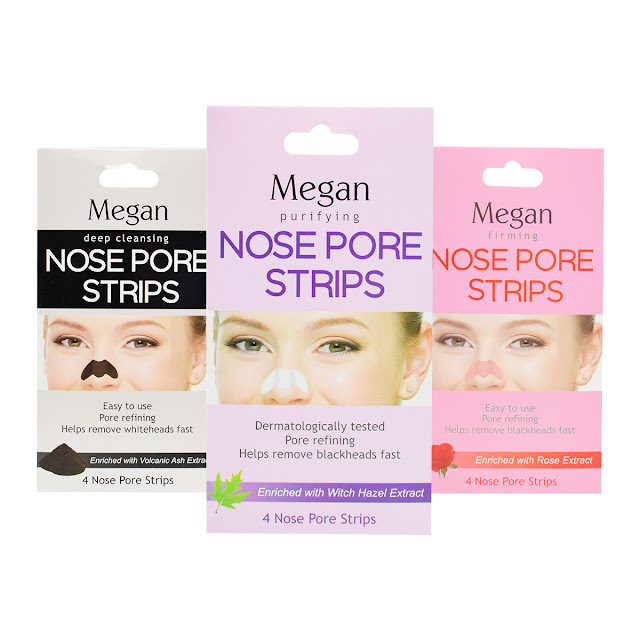 The facial wax strip by Megan is easy to use and can be used more than once. It is enriched with Sugar Honey Extract to help moisturized the skin. It is effective to remove even short facial hair and underarm hair, making skin smooth and hair-free. 1. 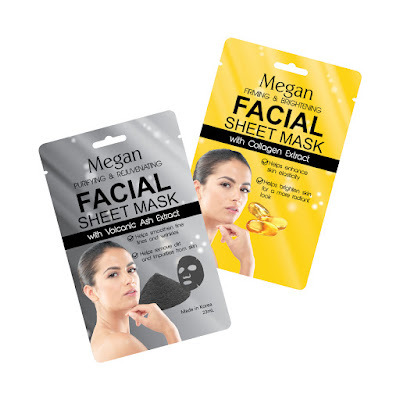 Megan Facial Sheet Mask with Volcanic Ash Extract (23ml) which detoxifies the skin through exfoliation and cleansing leaving the skin smoother and glowing. 2. Megan Facial Sheet Mask with Collagen Extract (23ml) which gives skin a radiant and younger look. 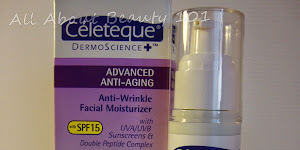 It can maintain skin's elasticity and renewal of skin cells for a brighter, firmer and younger looking skin. Each mask sheet costs 49php and I hope they will offer more choices soon. 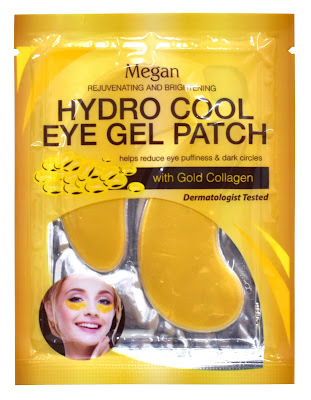 Last, Megan also offers Hydro Cool Eye Gel Patch that helps rejuvenate and brighten skin under the eye area for a more energized look. 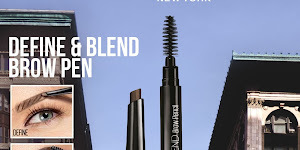 It reduces eye puffiness and dark circles. One pair of these eye gel patch costs 25php. All Megan products are dermatologically tested so they are proven effective and safe to use. You can find Megan at Watsons Stores, 7-Eleven Stores, Mercury Drugstores, Department Stores, SM Stores and other leading department stores and supermarkets nationwide. 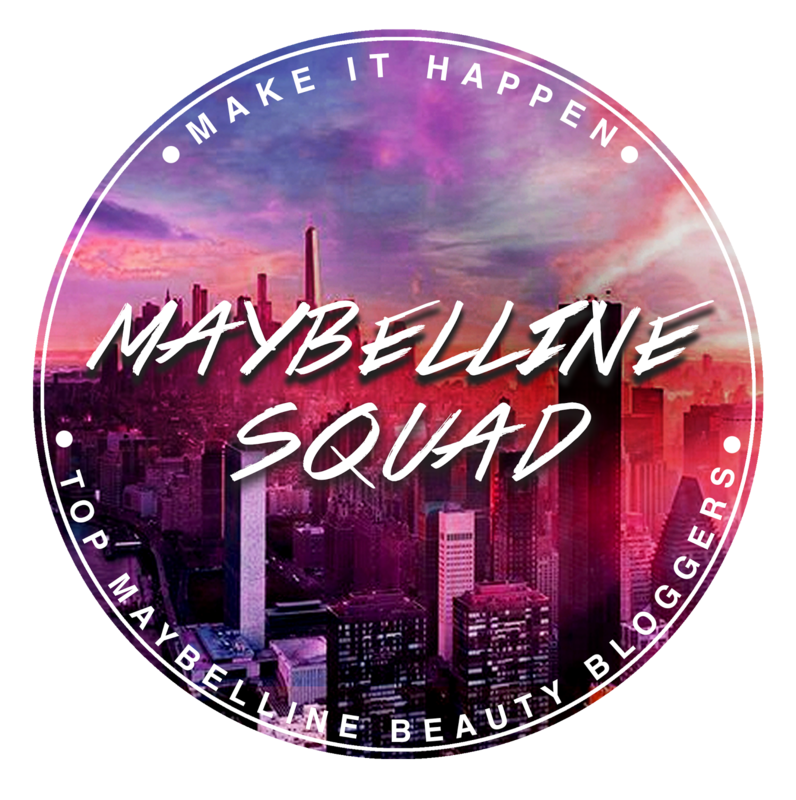 Try it now because the Blogger Babes are also excited to try all of the variants!